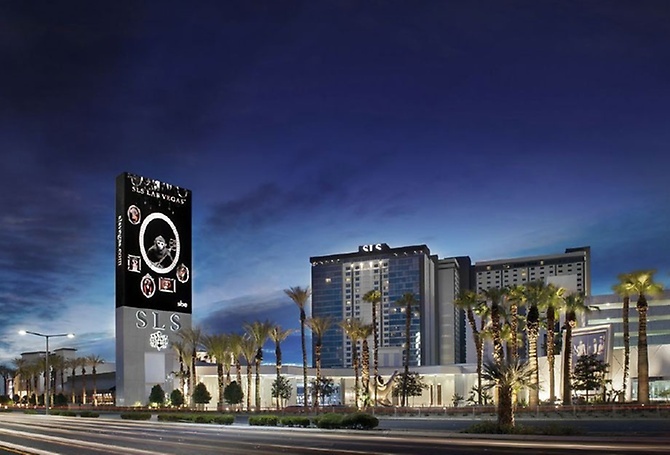 The SLS Hotel Las Vegas is located at the location of the old Sahara Hotel on the Strip. The complex is a mixture of trendy décor that is mixed with a little Art Deco. The SLS Hotel Las Vegas property was totally renovated with each room receiving a stylish finish with the décor planned by Philippe Starck. There are several types of rooms available and they are smaller than some other hotels on the Strip and if you are looking for a view of the Strip you will need to upgrade to the higher floors. There are lots of things that are positives about the SLS Hotel that will please a younger crowd more so than an older crowd. As you walk through this property you will find carpet with designs of the old Sahara Hotel that will throw you back in time as well as areas that the floor tiles light up as you walk across them. Another positive for the younger crowd are the two pool areas. The Lux pool is dedicated to relaxation and the adult only Foxtail Pool Club transforms from a daytime party scene to one of the hottest dance clubs on the Strip at night. There is limited shopping on the complex but guests can easily take the monorail to other locations on the Strip. Dining at the SLS Hotel can accommodate most budgets and the upscale cuisine created by Chef Jose Andres at the Bazaar Meat will tantalize your taste buds. 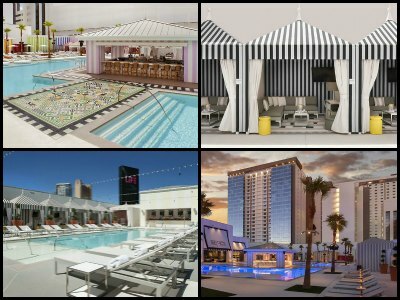 TheSLS Hotel Las Vegas will appeal to many people and if you are looking for something that has a LA meets South Beach feel then the SLS Hotel is perfect for you. The SLS Hotel Las Vegas has over 1,600 stylish rooms. The complex has gone through a complete renovation from its' days as the Sahara Hotel and Casino. The property contains three types of distinct accommodations that feature excellent amenities from personal concierge services to exquisite in-room dining. The Story Superior Rooms are 325 square feet of well used space that has an Art Deco interior. The open room has a choice of king or two double size beds with banquette style furniture to increase comfort. The bathroom is simple with a vanity and a walk-in shower. The World Superior Rooms are 360 square feet that have a contemporary décor. The open room has a choice of a king or two double size beds with a sitting area, minibar and work desk. The bathroom has illuminated mirrors, an infinity sink and a large walk-in shower. This room style is available with a strip view and property view. The Lux Deluxe King offers 425 square feet of luxury that boasts an area with sitting space, dining table, minibar and a king size bed. The oversized bathroom has a dual sink vanity and a large walk-in shower with two shower heads. This suite is available in a corner style unit that has views of the mountains on the property. The Lux Signature Suites are 490 square feet with a living area that contains interesting banquette style furniture along the walls, dining table, work desk, minibar and a choice of either a king or two double size beds. The bathroom is bright with a dual headed shower and a two sink vanity. This suite is available with either a pool, strip or property view. The Lux Luxury King Suite is 632 square feet of superb accommodations in a fashionable décor. The oversized room has a living area, dining table, work desk and a king size bed. The bathroom has an oversized shower with dual head and a two sink vanity at the SLS Hotel Las Vegas. The Lux SLS King Suite boasts a contemporary décor with a separate living room that includes ample furniture, a spacious work desk, dining table and snacks as well as a minibar by Saints and Sinner. The bedroom has a king size bed, sitting area and the bathroom has a dual sink vanity with an oversized shower that has two shower heads. This suite is available with a pool, strip or standard view of the property. Nightlife at the SLS Hotel Las Vegas features several exciting bars, lounges and nightclubs that will energize guests. 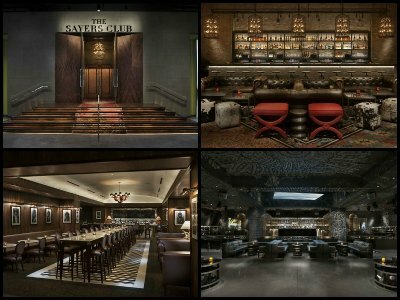 Located in the lobby area of the SLS Hotel is the Monkey Bar that features your favorite beverages; the Center Bar is situated in the middle of the casino floor and boasts signature cocktails; the Sayers Club has an interior of leather couches, lots of wood and an outdoor patio looking onto the Strip as well as superb live music and there is dancing as well as 28 VIP tables for guests at the incredible Foxtail Nightclub that is 8,000 square feet of high energy that can also accommodate live entertainment. The SLS Hotel Las Vegas has one of the more stylish casinos on the Strip. 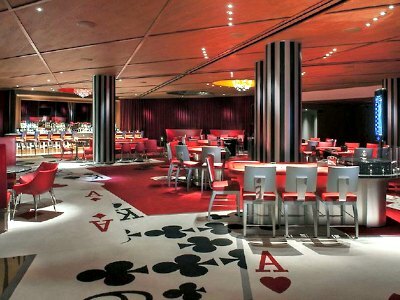 This 60,000 square feet has an interior décor that was created by Phillippe Starck with Gensler and SLS Hotels. The casino area is more than just stylish with plush furniture, there is over 60 tables offering your favorites from blackjack to craps to roulette. There is ample opportunity for poker players too with such games as three card stud to Texas Hold’Em to Pai Gow. In addition, there are more than 600 slots and video poker machines to lure you into temptation. There is not another race and sports book in Las Vegas like the William Hill race and sports book. The William Hill includes such amenities as 50 televisions, an outdoor beer garden and fabulous food at Umami Burger. 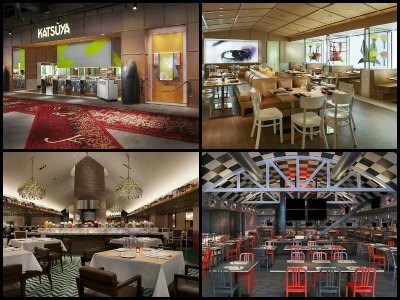 The SLS Hotel Las Vegas has eight great dining selections for guests to indulge from many different types of cuisine. On the casual side the SLS Hotel features KU Noodles by Chef Jose Andres which boasts Asian dishes that focus on handmade noodles and siu mai dumplings; 800 Degrees serves up Neapolitan pizza; Umami Burger offers one-of-a-kind burgers and a beer garden; the Northside is open 24/7 for all of your standard breakfast, lunch and dinner favorites and The PERQ boasts finely roasted coffees and handmade pastries. The SLS Hotel also offers exquisite upscale dining at Katsuya where award winning sushi Chef Katsuya Uechi brings his talents to tantalizing Asian cuisine; Cleo boasts the newest in Mediterranean dishes that are brought to life by Chef Danny Elmaleh and Bazaar Meat features an intimate interior designed by Philippe Starck as well as innovative carnivorous dishes by Chef Jose Andres. The SLS Hotel Las Vegas has two superb pool club areas that will satisfy guests that are looking for that luxurious pool club experience. The Foxtail Pool Club features one of the most beautiful decks for you to enjoy. This adult only pool club allows guests to soak up the sun during the day and at night the area is transformed into a signature nightclub. This pool club also offers innovative cuisine and great cocktails. Cabanas and daybeds are available for the person looking for that perfect VIP adventure. The Lux Pool is 10,000 square feet that is the perfect rooftop location during the day to soak up the sun and see the stars at night. The pool has a relaxed atmosphere that allows guests to enjoy the better things in life. The Lux Pool has cabanas and daybeds available with VIP services that include unique drink options. Wedding services at the SLS Hotel Las Vegas are available with many different venues and catering options that will make your day very memorable. The SLS Hotel can accommodate weddings from 25 to 500 guests whether the location is one of the elegant banquet rooms, poolside and courtyard or in one of the many fine dining establishments that are open to receptions. 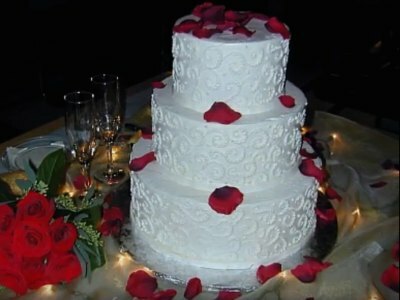 The complex has dedicated wedding planners that will bring all of yours dreams together to produce that special day. The Ciel Spa at the SLS Hotel Las Vegas has a soothing white décor that features plenty of different areas to help you relax and rejuvenate your spirit. Located on the second floor at the SLS Hotel the spa boasts ten private treatment rooms, a couples retreat, herbal induced steam rooms and a relaxation lounge. The Ciel Spa offers specialty treatments from a Fruit Enzyme Body Peel to the Red Carpet Facial to a Hot Stone Massage. Guests can also mix and match their favorite treatments for that perfect day that will lift your body and spirit into a blissful state. 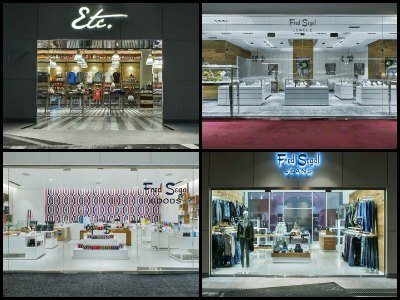 The shopping at the SLS Hotel Las Vegas is limited to three locations within the property. The SLS Hers store features clothes, accessories and shoes for women from designers like Miss Me, Joseph Ribkoff as well as more. The SLS GOODS shop boasts a great selection of SLS Las Vegas souvenirs from t-shirts to coffee cups. Another option is ETC. where guests can purchase health items, snacks and whatever souvenirs they need for all of their friends and family.